We are one of the reckoned manufacturers, exporter and suppliers of high quality SS Tower Bolt our offered products are manufactured from superior quality raw material which is sourced from trusted vendors. Moreover, these products are available with us at highly industrial market prices. Established in the year 1982, we, Imperial Industries are among the eminent organization engaged in manufacturing, supplying and exporting excellent quality of products such as Aluminum & Stainless Steel Tower Bolt, Door Accessories, Window Accessories and Door Aldrop. 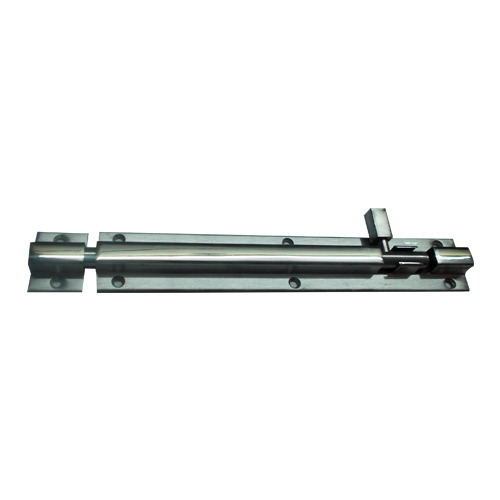 Under these categories we offer Aluminum Door Stopper with stainless steel Rod, Aluminum Tower Bolt with stainless steel Rod, Aluminum Tower Bolt with Aluminum Rod and Aluminum & Stainless Steel Aldrop. The product we offer are developed in tandem with the strategy of the industry by using optimum quality material procured from the trusted vendors of the market. Our skilled professionals use latest machines and tools for manufacturing these products. These products are produced under the supervision of skilled professionals in order to develop qualitative products and eliminate defects, if any. Quality analyzers strictly examine each product through various parameters before the final delivery to the patrons end. Our products are widely appreciated across the country for qualities such as corrosion-resistance, durability, dimensional accuracy and seamless finish.